Your wedding marks the beginning of many memories to come, but the memories of that special day will forever live on. Savor those memories with a photo album to hold all the days pictures. Whether it be professional photos our photos taken by your guest this darling photo album will hold them with care. 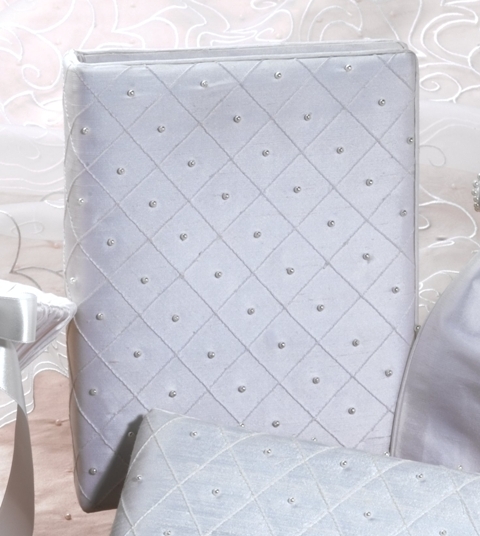 The Diamond Pearl Silk Photo Album is part of the Pearl Pin-Tuck Silk Collection so it shares the same design. How nice will it be years from that special day to hold a photo album that is reminiscent of your wedding theme?